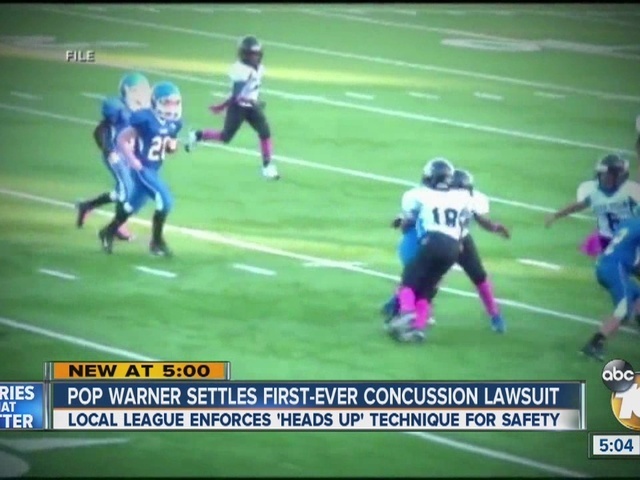 A Pop Warner league in Michigan has settled the first ever concussion lawsuit in the country. Faryn Shiro with ABC News reports that the lawsuit was filed in February 2015 in federal court by the mother of a 25-year-old man who committed suicide in 2012. After Joseph Chernach’s death, he was diagnosed with chronic traumatic encephalopathy (CTE). Chernach played in a Michigan Pop Warner league for four years beginning at age 11. The $5 million lawsuit claimed that Pop Warner failed to properly train its coaches or use the appropriate safety equipment. The amount of the settlement was not released. 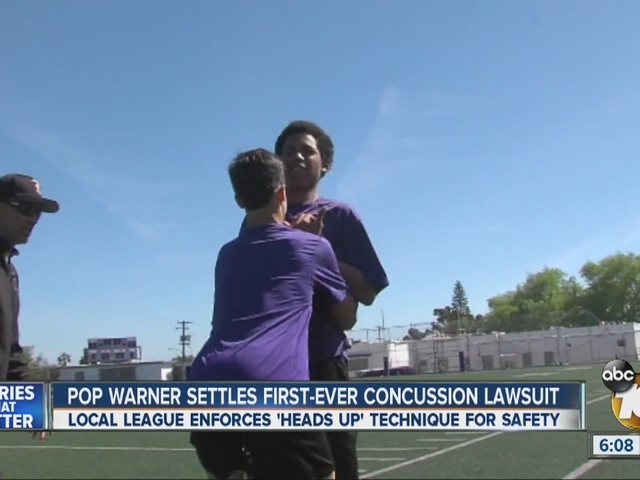 According to ABC News, beginning in 2010, Pop Warner started benching players suspected of having concussions until they were cleared by a doctor. Here in San Diego, hundreds of children play Pop Warner Football. Vista Pop Warner Commissioner tells 10News, every Pop Warner coach must pass a ‘heads up’ training program with a score of 100 percent. They also use lighter helmets. We found out what 'heads up' training entails by practicing with the St. Augustine High School football team. Head Coach Richard Sanchez told us typically three freshman get a concussion each year, but in 2015 not one player suffered from the head injury. In the 'heads up' technique, the player’s core strength is essential. There’s a focus on having a solid foundation then keeping the head and eyes up instead of toward the ground before a hit. “They make sure the head stays stabilized at all times so when they get the whiplash there’s some stability there so the brain is not rattling around too much in their head,” explained Sanchez. They practice the technique repeatedly so while their head is in the game, protecting it is on their mind.